The new offensive weapon for pimple-out/Anti-Spin rubbers. Our existing MATADOR has proven to be a highly effective OFF- blade for pimple-out and Anti-Spin players. The new offensive weapon for pimple-out/Anti-Spin rubbers. Our existing MATADOR has proven to be a highly effective OFF- blade for pimple-out and Anti-Spin players. The new MATADOR TEXA is based on a similar plywood composition yet we have enhanced it with selected fiber material to reach a total of 9 plies. This results in a slightly faster blade with high power for a modern offensive game. Both fast topspin shots and high-rotation loop balls can be performed without any problem. The blade produces a low bounce both while blocking passively and while chop-blocking aggressively with long pimples. 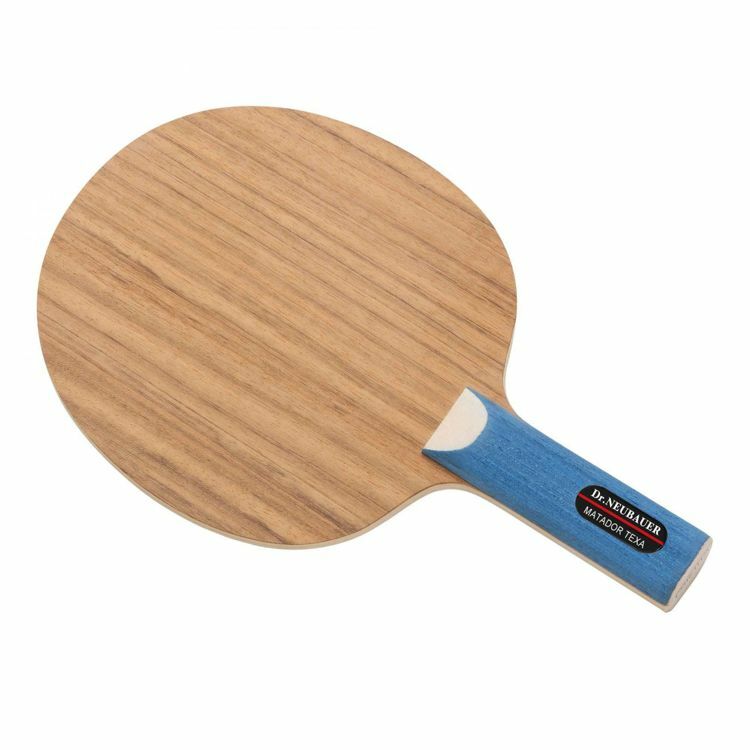 Just like with our existing MATADOR, maximum spin reversal can be produced while blocking with our frictionless Anti-Spin rubbers. Despite the high speed of the blade it allows for very short blocking with this type of rubber. Finally the blades allows for a very dynamic attacking game with offensive pimple-out rubbers. MATADOR TEXA - A must have for maximum dynamics and efficacy.